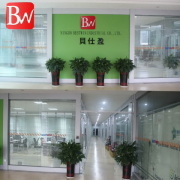 company profile of Ningbo Bestwin Industrial Co., Ltd. 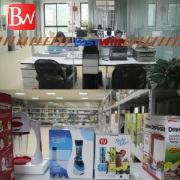 Established in 2006, Ningbo Bestwin Industrial Co., Ltd is a leading manufacturer for high-quality kitchen slicer,steam products,household juicers, AS SEEN ON TV and plastic sundries. 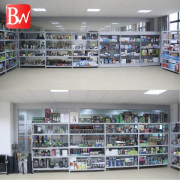 We have engaged in the research, development, manufacture, sales and OEM of electrical household appliances for more than 9 years. We have employed more than 100 personnel including more than 4 engineers and technicians for reseaching new products..
We own 4 factories for making 7 series products..
We own 60 sets high speed injection machine from 20g to 2000g. 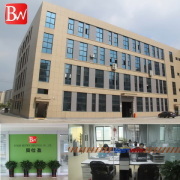 We can produce more than hundreds household electronics products and daily use item.. .
We are located in Hongtang Industrial Zone,Ningbo City,Zhejiang,CHINA. Only 10 minutes to Ningbo Lishe Airport, 10 minutes to Ningbo business center. Covering an area of 20000 square meters, our company is equipped with advanced production facilities and testing apparatus.. We have professional engineers for making perfect mould for any new products. We are the leading manufacturer for AS SEEN ON TV products. Our products are CE,ROHS,CUL and ISO9001 certified. Our high quality products are exported to Europe,America,Southeast, Middle East, Africa & other overseas markets. We are already making a good OEM production overseas' well-known brands,Walmart and Costco. We sincerely welcome customers both in the domestic and the overseas markets to visit our factory for long- term business releationship. 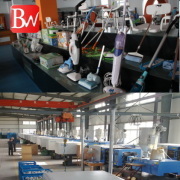 Competitive Advantage: We are professional manufacture for kitche slicer , steam mop and kitchen juicer and NEW AS SEEN ON TV for 10 years from 2006. We have a strong group for export and service and quality control. We have done export business more than 10 years, and own professional staff for your inquiry. We know what's the quality you need,we know what's the best for your win. TRUST US, YOUR BEST WIN, OUR BESTWIN. We are professioal for high quality products.